July 11: Michigan Community Radio filed an application to make changes for FM translator W247CU (Fort Gratiot Township). The application seeks to increase the translator’s effective-radiated power to 150 watts. The translator rebroadcasts the signal of WGRT-FM (Port Huron). July 6: The Preservation Association of Beaver Island has applied to modify the facilities of low-power FM station WVBI-LP (Beaver Island). The licensee is requesting a new transmitter site, ERP and HAAT. July 6: The Educational Media Foundation was granted a construction permit for FM translator W240CG (Webberville). The permit is to change the transmitter location to the WITL-FM tower (Lansing) and increase ERP and HAAT. The translator rebroadcasts WITL-FM (presumably one of WITL’s HD channels). July 5: Resort Radio has filed an application to assign the license of FM translator W299CB (Manistee) to Smile FM for $18,000. 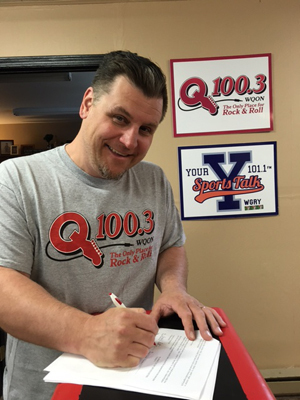 Smile FM intends to rebroadcast its WSMZ-FM (Crystal Valley). July 5: Zamora Broadcasting Systems, Inc. has filed a license to cover application for FM translator W300DI (Dearborn). This translator was formerly W240DL, operating on 95.9 Mhz. The new callsign reflects its new frequency of 107.9 Mhz. The translator is a fill-in translator for WDTW-AM, also licensed to Dearborn. July 3: AMC Partners Escanaba, LLC filed a license to cover application for WCMM (Gulliver). The station recently applied to reduce its effective radiated power to 60kw. June 30: Good News Media, Inc. has applied for a transfer-of-control from its non-commercial stations to a new board of directors. The stations affected are WLJD-FM (Charlevoix), WLJN-AM (Elmwood Township), WLJN-FM (Traverse City), WLJW-AM (Cadillac) and WLJW-FM (Fife Lake). In addition to these applications, television stations in Michigan have begun the repack process with applications for modified facilities. Look for a summary of those applications in the weeks to come. WXYZ-TV (Detroit) will broadcast the television premiere of the film, “12th and Clairmount,” 7:00 p.m., Sunday, July 23, the 50th anniversary of the 1967 Detroit riot/rebellion. The Detroit Free Press film was produced in collaboration with WXYZ and Bridge Magazine, and explores the racial and economic tensions that led to the most violent uprising in Detroit’s history. The documentary features WXYZ archival film along with home movies from Detroiters who witnessed the five-day rebellion and shared their stories. “12th and Clairmount” will air commercial free on the station. A Detroit 2020 town hall discussion, Detroit 1967: Looking Back to Look Forward,” will air immediately following the film on air and live on the WXYZ Facebook page, where viewers can participate. The town hall program will be hosted by 7 Action News Anchor Carolyn Clifford who was born and raised in Detroit. She will be joined by 7 Action News Anchor Dave LewAllen and WXYZ Editorial and Community Affairs Director Chuck Stokes. The show will recognize the struggles that led to the violence in the summer of 1967 and focus on efforts to learn from those experiences. 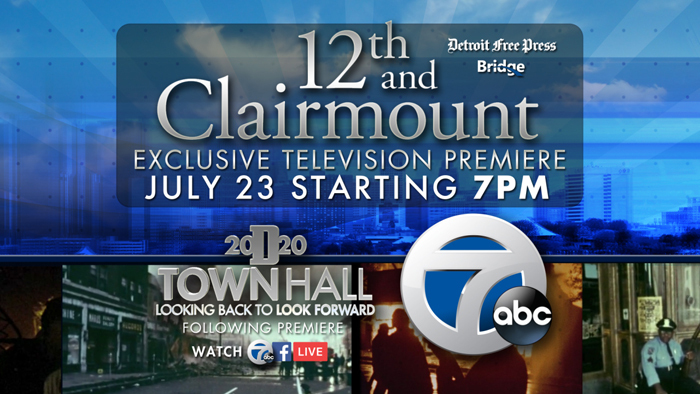 WXYZ will also partner with the Downtown Detroit Partnership to present a special screening of the film, “12th and Clairmount,” at Campus Martius Park on Thursday, July 27, at 8 p.m.
Stokes will host a special “Spotlight on the News,” program from Campus Martius Park on Sunday, July 23, at 10 a.m. The show will feature interviews with newsmakers and Detroit residents who lived through the violence, and a roundtable discussion that includes 7 Action News anchors Clifford and LewAllen. On July 23, 7 Action News at 11 p.m. will broadcast a 7 Action News special that examines the 50 years since the 1967 uprising; looks at how far the city has progressed; and addresses the work that still needs to be done to move our community forward. From July 17 through July 22, 7 Action News at 5 p.m. will include a daily special report focusing on the uprising. Daily coverage will also be available online at wxyz.com/Detroit1967. WXYZ will feature a series of short videos at facebook.com/wxyzdetroit that examines the roots of the violence and the progress made over the past 50 years. Topics will include what happened at the Motown studios, the experiences of a solider and Detroit native dropped into the violence, and the “white flight” that followed the rebellion. 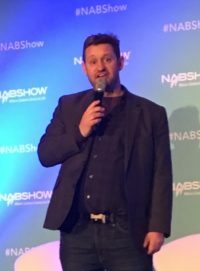 The National Association of Broadcasters (NAB) has announced the finalists for the 2017 NAB Marconi Radio Awards, honoring radio stations and on-air personalities for excellence in broadcasting. The winners will be announced September 7 at the NAB Marconi Radio Awards Dinner & Show and held during the 2017 Radio Show in Austin. Three Michigan broadcasters appear in the list of finalists. In the Large Market Station of the Year category, Beasley Broadcast Group’s WRIF-FM (Detroit) is a finalist, along with stations from Milwaukee, Seattle, Cincinnati and Denver. In the Noncommercial Station of the Year category, once again Plymouth-Canton Community School’s WSDP-FM (Plymouth) is a finalist. This is the fourth year in-a-row that the high school station has been a finalist. And, in the Large Market Personality of the Year category, the late Linda Lee of WYCD-FM (Detroit) is a finalist. 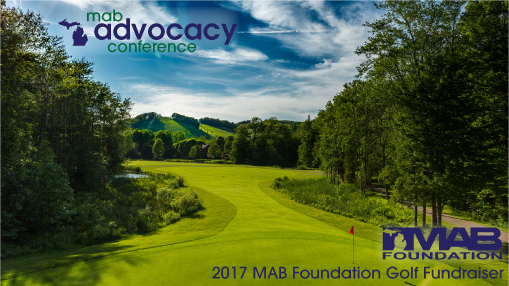 Lee, who passed away March 31, 2017, will also be honored with the first MAB Legacy Award, at the Advocacy Conference and Annual Meeting, August 22, during the Chairman’s Banquet at Crystal Mountain Resort in Thompsonville. A complete list of 2017 Marconi Award finalists is available here. The MAPB has announced its 2017 Public Media Impact Award recipients. CMU Public Radio’s John Sheffler will be honored for his nearly 40 years of professional service and leadership and Detroit philanthropist William H. Smith will be recognized for his generous contributions to Detroit Public Television. John Sheffler retired in May 2015 from WCMU (Mt. 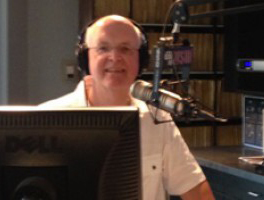 Pleasant) as Director of Radio after nearly 40 years with the station, a career that began while he was a student at Central Michigan University. He is credited with creating the series “Our Front Porch” in 1979, highlighting live Traditional Americana and Celtic music. The program was broadcast nationally by NPR from 1983-1988 and was a weekend WCMU mainstay for more than 34 years. “Our Front Porch” recordings have been collected by the Library of Congress and the Irish Traditional Music Archives in Dublin. William H. Smith founded Allied Film & Video in Detroit after he and his wife, Patsy, moved to the city in 1960. They quickly became regular patrons of local culture and education, including Detroit Public Television. 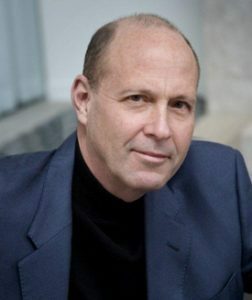 When Bill sold his company in 1995, the Smiths established a private charitable foundation and donor-advised fund through the Community Foundation of Southeast Michigan. The couple was among DPTV’s lead donors as the organization expanded its services and facilities to convert to digital broadcasting in 2005, providing funding for the Smith Family Broadcast Operations Center. Following Patsy’s death in 2006, Bill made an additional gift for the construction of the Bill and Patsy Smith Studio at the Riley Broadcast Center. In 2013, Bill and his children made a $1 million commitment to established DPTV’s William H. Smith Family Leadership Circle to encourage other’s in charitable giving to the organization by their generous example. As of 2017, the giving circle surpassed its $4 million goal with more than 55 donors participating in high level support of the values and mission of DPTV. The MAPB Public Media Impact Awards will be celebrated on Aug. 22 at Crystal Mountain Resort in Thompsonville as part of the MAB’s annual Advocacy Conference evening Awards Banquet. Click here to attend. 1. Radio stations don’t pay enough attention to the event’s landing page on the website. Drive people to the station’s event page. When they get there, get those people to buy tickets. Does this page have all the necessary details about the concert: Performers? Date? Time? Location including address? Price? Age restrictions? Parking instructions? Does the page have a big, bright button that says “Buy Tickets” which makes the call to action really obvious? When designing your station’s event page, here’s a checklist to guide you. You can also test the effectiveness of your radio station’s event page with a website usability test. 2. Radio stations don’t make it easy to get to the event page. Radio stations often promote their big concert by including it as the first slide in the slideshow on their homepage, but nowhere else. My official position is that the homepage slideshow is an abhorrent feature that should be abolished from every music radio station website in America. But even if you’re not willing to go that far, it’s important to recognize that just including the concert in the slideshow isn’t enough. For starters, after a few seconds, the slide switches and now there’s nothing on your homepage to direct people to the event page. You can find out if listeners are having a hard time getting to the station concert page by running a website usability test. 3. Radio stations send listeners directly to the ticketing agency’s webpage. Some radio stations direct listeners to the event webpage of the ticketing service instead of sending people to a page on their own website. For example, a station might tweet out a link to the “WKRP Big Picnic Concert” page on Ticketmaster’s site. The problem is that the station has very little control over Ticketmaster’s site. It can’t change the designs to make the page more enticing to potential concert goers. And it can’t see any analytics to measure how much traffic it is driving to the tickets page. Whenever possible, you want to drive traffic to your radio station’s website, not somebody else’s. That’s especially true when you have revenue riding on the page. 4. Radio stations flood social media with salesy posts instead of creating compelling content. People don’t like ads. We go to great lengths to skip them. So when posts pop up in our Facebook newsfeeds and Twitter streams telling us to “Buy tickets now!,” we get annoyed. Typically, these types of blatantly promotional posts don’t perform well on social media. So what do you do? Create compelling content. If a band is performing at your concert, send the record label a list of written questions for its members. Then publish the answers as a Q&A on your website. In this interview, embed a YouTube video of the band’s latest single. In both the introduction and the conclusion of the interview, mention that the band will be performing at your concert and include a big, bright “Buy Tickets” button. Now, share this interview on your social media accounts. 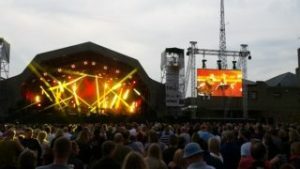 It’s likely to attract more incoming website traffic than a salesy post and the people it attracts are more likely to be interested enough in the band to go see them perform live. 5. Radio stations focus on social media and ignore other marketing channels. Your Airwaves: Create an easy-to-remember vanity URL that redirects to your station concert page, such as wkrp.com/bigpicnic. Use this URL in recorded promos, sweepers and live on-air mentions. Search Engines: People often turn to search engines like Google when looking for information about big radio station concerts. Make sure that you’ve properly optimized your station’s website — especially the station event page — for search engines. Email Blasts: You know that email database you’ve been collecting names for all year? This is why you did it. Email marketing is a crucial component in your concert promotion strategy. Text Messaging: Texting can be an effective way to reach your listeners, but be sure to check with your station’s legal team first. Some broadcasting companies have been fined for violating text message spam laws, so you’ll want to make sure that you don’t run into any issues. 6. Radio stations don’t track their ticket sales efforts with Google Analytics. Having a website and not looking at its Google Analytics reports is like having a radio station and ignoring the ratings. I noted above that selling tickets is a two-step process: first, you drive people to your event page, then you convert them into ticket buyers. Google Analytics can show you how you’re doing at each stage. Are you attracting people back to your website but not convincing them to buy? Then you need to revise the page (see #1). Are you failing to get people to the website at all? Maybe your social media posts are too salesy (see #3). Use Google Analytics to make informed decisions about your marketing strategy. If you’re new to Google Analytics, here’s a guide for radio programmers. 7. Radio stations don’t put a link for sponsorship inquiries on the station event page. Tickets sales aren’t the only way to generate revenue from station events; sponsorship dollars are often just as important. Make it easy for potential advertisers who are interested in your event to request sponsorship information. Include a link on the station event page for people to request more information. If ticket sales for your radio station’s big event are underwhelming, see if you’re making any of these mistakes. A correction could have a significant impact on the bottom line. Sarah and I are in Bermuda with her brother, Bob, and his wife, Kathy. On Tuesday morning we get up, get on our motor scooters and go to breakfast. Then we journey to Hamilton to shop. We eat lunch together. By 2:30 p.m., we’re playing golf at the St. George Club. We go around the table. We experienced the same day, the same restaurants, same stores and the same golf course. But we had four different takeaways. Let’s apply this to you and how you run your sales meetings. Until and unless you ask, you’ll never know how your salespeople are processing your sales meeting or your training session. Five salespeople will bring five points of view to the meeting. You want to find out what they think they have learned. You can’t influence their thinking further if you don’t know what they’re thinking. Listen to the responses. Review the whole meeting from the perspective of each person. 1. How does what you learned differ from what you’re doing now? 2. Does the learning apply to a specific customer you work with or a situation you’re facing? 3. What do you think might happen if you use this new skill (learning) in this situation? 4. Do you need more information or practice before you act on this? 5. When will you act? To know and not to do is not to know. Training that doesn’t change behavior is as useless as a parachute that opens on the first bounce. “Transfer” means the learning gets from your conference room into the customer’s office. Without “transfer” there can be no results from your training efforts. Great sales managers concentrate on and coach the transfer of learning. Thanks for reading my article. If there was a highlight for you, then please share in the comments section. Want more? 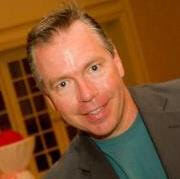 Watch my Year of the Sales Manager Video for more transferable sales training ideas.